I spent my last Saturday teaching some boy scouts about the wild edibles in the Piney Woods. 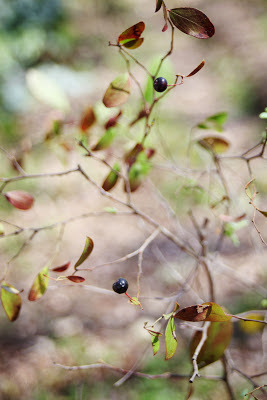 We found several species to discuss including one of my favorite wild edibles, farkleberries. These wild blueberries also known as sparkleberries are native to the Southeastern United States and stretch into our area, just east of Austin. The berries are usually small, but can be found in abundance growing in the understory or on the edge of the forest. 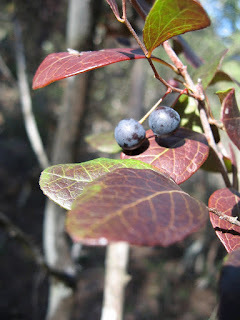 The trees or large shrubs are small, deciduous and multi-trunking with spindly limbs. The leaves turn a brilliant red, burgundy and deep purple in the fall. The berries are usually not as plump and juicy as cultivated blueberries, but are just as sweet and nutritious!